Larrup – a blow; to beat flog, thrash or whip. Obviously not paying attention this week – only 4/10 in Stuff’s Biz Quiz. 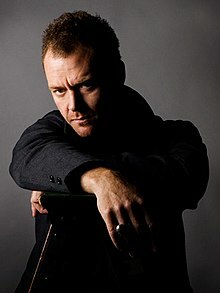 The school inspector is assigned to the year 4 class in one of the local Brisbane state schools. He is introduced to the class by the teacher. She says to the class, “Let’s show the inspector just how clever you are by allowing him to ask you a question”. Bruce stands up and replies: “Sir, I don’t know who broke down the walls of Jericho, but I can assure you it wasn’t me”. The inspector is shocked by the answer and looks at the teacher for an explanation. Realizing that he is perturbed, the teacher says: “Well, I’ve known Bruce since the beginning of the year, and I believe that if he says that he didn’t do it, then he didn’t do it”. The inspector is even more shocked at this and storms down to the principal’s office and tells him what happened, to which the principal replies : “I don’t know the boy, but I socialize every now and then with his teacher, and I believe her. If she thinks that the boy is innocent, then he must be innocent”. The inspector can’t believe what he is hearing. He grabs the phone on the principal’s desk and in a rage dials Julia Gillard’s telephone number and rattles all the conversations to her and asks her what she thinks of the education standard in the State..
Apropos of this a friend who teaches speech has found she has to rule out lots of old poems because the children no longer know enough about Christianity to understand a lot of the imagery. The loss of knowledge about religion has cultural implications too. We spotted this sign near a railway station in Holland. 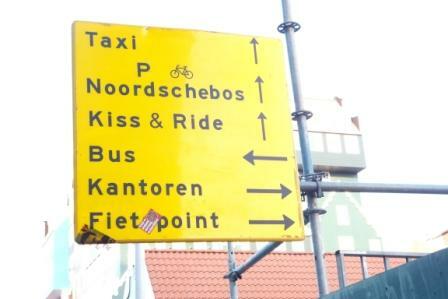 Does Kiss & Ride mean to the Dutch what it means in English or has something been lost in translation? Progressive Meats Managing Director, Craig Hickson, is the 2012 Allflex/Federated Farmers Agribusiness Person of the Year. Dr Doug Edmeades has won the Ravensdown/Federated Farmers Agri Personality award for 2012. “We are pleased to have such high calibre award winners,” says Bruce Wills, Federated Farmers President. . .
“Craig runs a mixed 1200 hectare sheep, deer and beef farm in Hawke’s Bay and in addition to Progressive Meats, is a member of the Meat Board. Craig is also a Director of Ovation New Zealand and a number of other meat companies. Somehow he finds the time to sit on the Boards of both Beef+Lamb New Zealand Ltd and Ovita Limited. “Our other major award is the Ravensdown/Federated Farmers Agri Personality for 2012. This is determined by the main board of Federated Farmers itself and we had a wealth of people to choose from who had really stood up over the past year. “Ironically it was one of the finalists from the Agribusiness person of the year for 2011 who took the title. “That being the passionate and highly charismatic Dr Doug Edmeades of AgKnowledge. Doug has worked closely with Federated Farmers as an expert witness and has emerged as a scientific advocate for sensible farming practices. “Doug is a scientist who argues in the media for solutions and not problems making him a very popular choice,” Mr Wills concluded. Congratulations to both winners and to Federated Farmers for showcasing agribusiness talent.
. . . On this side of the House we do not think it is adequate to simply spend billions and tell the country that we care. We want to get real results for the community, for individuals, and for the economy. Frankly, I am not surprised by the Opposition’s reaction, because focusing on getting better results is a relatively new experience for the New Zealand Government, as the last lot was focused on how they managed to spend the most money. Steven Joyce. You are currently browsing the Homepaddock blog archives for June, 2012.